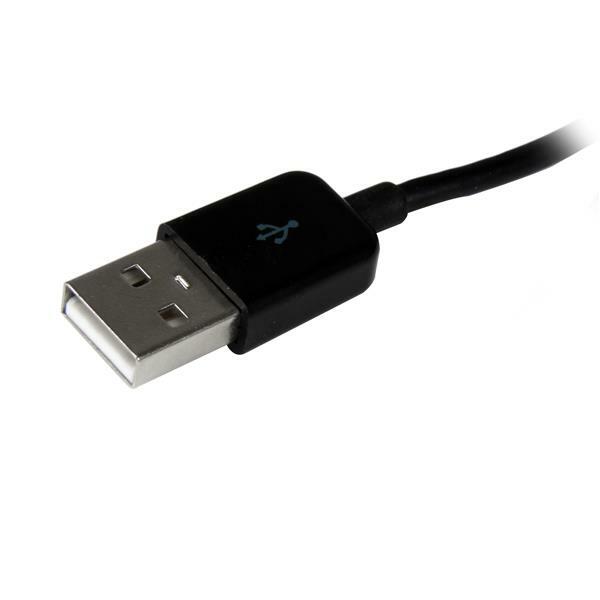 Note When used with a Windows® computer this adapter supports native USB audio. I was out of town on assignment with an older laptop with no display port and no HDMI. 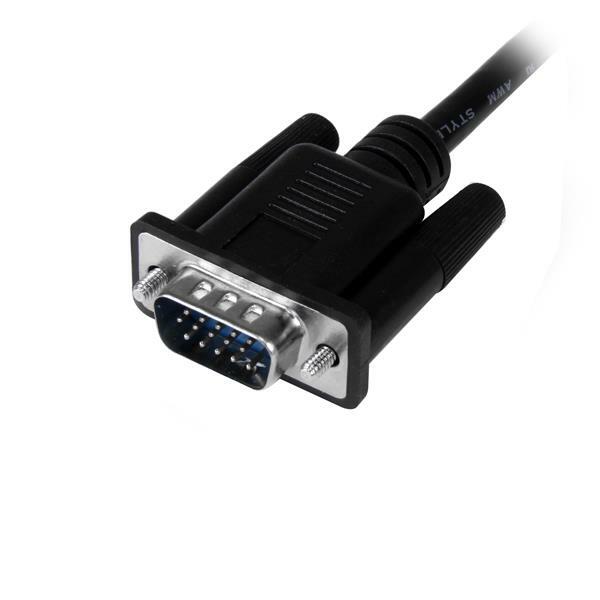 Just a VGA out and usb. This was perfect for allowing me to use a larger TV as a monitor for a presentation. The USB uses power to convert analog to digital and doubles as audio for the HDIM. (5 stars) Worked flawless and automatically the first time! 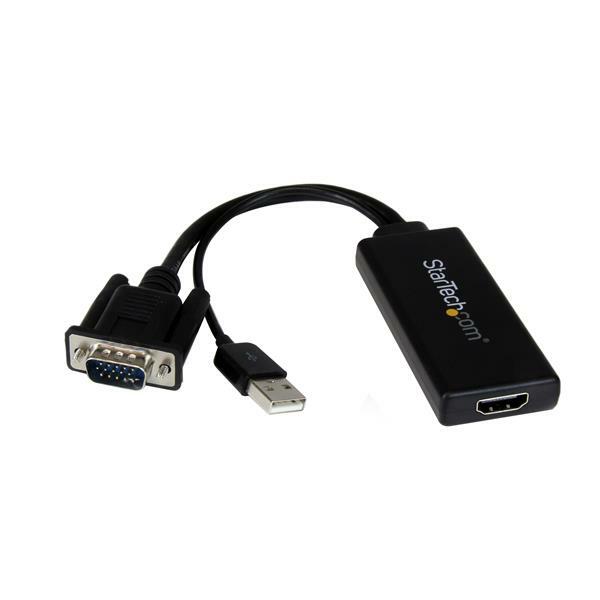 I bought this adapter and a 20' HDMI cable to use Skype for an Office conference. The only problem I had was the need to change the Skype setup to use the computer's internal microphone, rather than the phantom HDMI microphone. 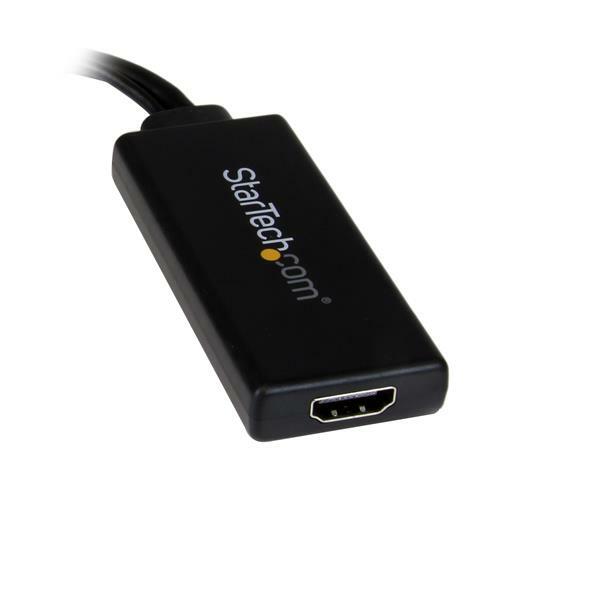 I've got three of these to replace the more expensive Startech adapter, VGA2HD2. The higher priced ones did not work in our environment (kept getting signal out of range messages on our large screen TVs) but this little guy worked 100%. I must say that Startech technical support was excellent in working with me. I needed to convert the (optimal) 1280x800 output from my Dell Latitude E4200 to HDMI for presentations. I initially purchased a cheaper SYBA IO Crest (SY-ADA31025) unit from Amazon, which was described as supporting this resolution. That adapter did an "OK" job at lower resolutions, but at 1280x800, the screen displayed a "No signal" message on each of the output devices I tried. I arranged for a (pain-free) return and refund with Amazon. 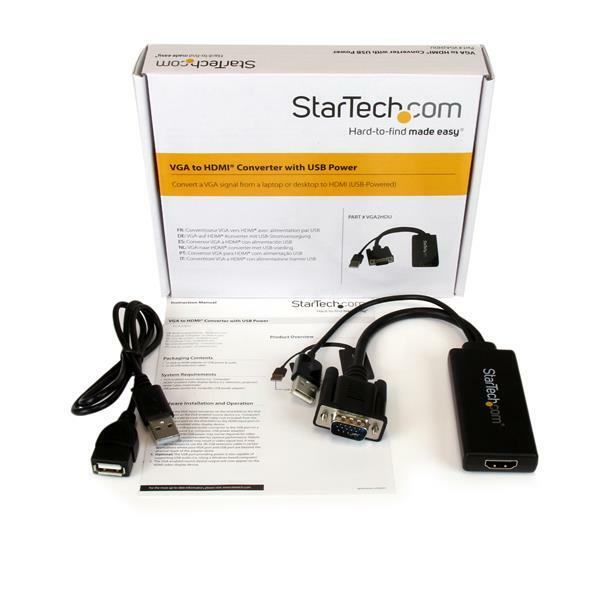 I then chatted with "Keith" at StarTech who assured me that this device (StarTech VGA2HDU) would do the trick, so I went back to Amazon and ordered one. I just plugged it in, and it works like a charm! My grandson is watching children's programming (on the e4200 and our 50" Samsung LED TV) as I type this. Picture and sound are flawless; no jitter, streaks or freezes. Highly recommended! Thanks, StarTech. Thanks, Amazon. Thanks, Keith! I had tried 3 different alternatives before this one and was relieved to find it works. I thought it was a simple matter to change from one kind of connecter to the other but there is a lot of signaling that has to be right for Windows 7 x64 to detect and talk to the monitor/TV at the other end. Don't waste your time or money on other devices.